Whether you are a famous celebrity couple or just another family trying to get by, the same divorce laws apply. The same issues apply as well, such as property division and child custody. Shortly after the Fox and Friends co-host said she and her husband were separating, William Procter filed for divorce in Manhattan Supreme Court. Observers expect money and parenting time to be key issues in the case. According to people close to the couple, the marriage between Mr. Procter and 42-year-old Ainsley Earhardt became rocky after allegations surfaced that he had an affair several years ago. “There is not one ounce of truth to the allegations that I had an affair,” he declared. Furthermore, “I am disappointed that this private matter has become public,” he added. However, a source close to the couple said there is “evidence to prove it.” Mr. Procter, 34, is a former Clemson University starting quarterback and a current investment banker. This divorce also involves Hayden, the couple’s 2-year-old daughter. “Until 2010, adultery, cruelty, and other kinds of martial fault were the only grounds for divorce in New York,” observed Syracuse family law attorney Richard J. Bombardo. 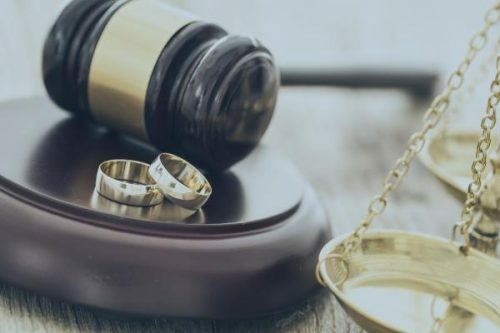 “Such a divorce is still available in New York, and some people chose this path for a variety of reasons.” Some people pursue an evidence-based divorce for religious or moral reasons, he explained. Others need some emotional closure and a finding that the marriage breakup was the other spouse’s fault, he added. The downside with adultery is that it is difficult to prove. Most courts interpret this word rather narrowly. A flirtatious friendship or an online relationship usually do not qualify as adultery. And, if Mr. Procter had an affair several years ago, the evidence of this affair, which is probably the ex-girlfriend’s testimony, may be hard to come by. Finally, if Ms. Earhardt found out about the affair some time ago and voluntarily kept up the marriage, this adultery may not be grounds for divorce at all. As mentioned, other kinds of fault include abandonment and cruel treatment. Before the no-fault law, most New York judges granted divorces because of cruel treatment. This phrase is very broadly defined and can even include harsh words. If you want an evidence-based divorce, Mr. Bombardo offered, cruelty may be the way to go. Property division and spousal support are nearly always a big issue in Syracuse divorces. Courts have consistently ruled that adultery itself is not a consideration in these matters. However, adultery-related dissipation (waste) of marital assets is a factor. For example, if Husband spends $10,000 on gifts to a girlfriend, Wife may be entitled to her share of the dissipated property. Child custody is usually an issue as well. If the child is under 4, courts usually award residential custody to the mother. However, the “tender years doctrine” is not nearly as deeply embedded today as it was ten years ago. So, the judge will consider a number of factors before making a determination.